The Designer Spas range of outdoor spas is proudly manufactured in Australia by Spa Industries. Using State-of-the-art technology, each spa is tested using a purpose built computer testing station to test each of the essential electrical components of the spa. Each Portable Spa, Swim Spa and Spa Pool in the Designer range is issued with a certificate verifying that it has passed all of the testing phases. Designer spas are quality built to ensure years of uninterrupted pleasure. Complete your outdoor living area with a Designer Spas outdoor spa, the ultimate in relaxation and enjoyment. Focused on offering the most extensive range, Designer Spas has a diverse range of Portable Spas, Swim Spas and Spa Pools to cater for everyone's taste and budget and with the latest trends and styles to complement any home or outdoor living area. 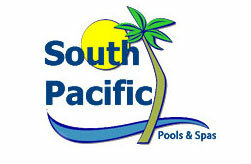 South Pacific Pools and Spas Geelong provide install, repairs and maintenance to the complete range of Designer Spas.